Ethane production in the U.S is expected to average ~1.45 million bpd this year, up from 1.25 million bpd last year. 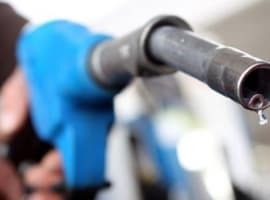 It is set to maintain its upward trajectory in the coming years, driven by higher domestic consumption (from the petrochemical industry) and increasing demand for exports. East Asia is the leading destination for U.S. propane, accounting for over 40 percent of exports, with Japan, South Korea and China being the top three recipients of U.S. propane globally. Mexico is fourth. 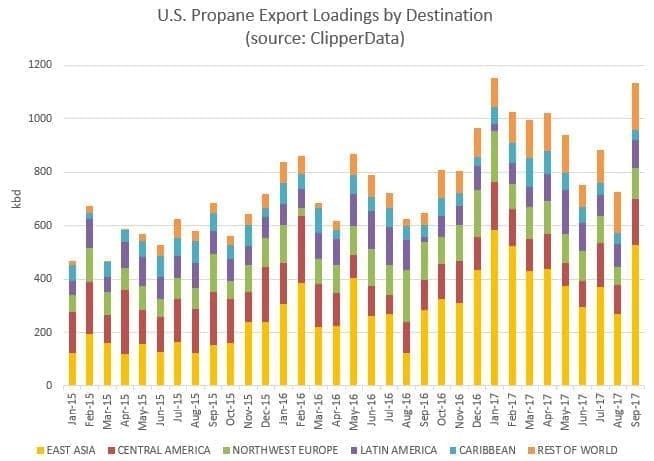 U.S. propane exports have averaged above 1 million barrels per day in five out of ten months of this year. 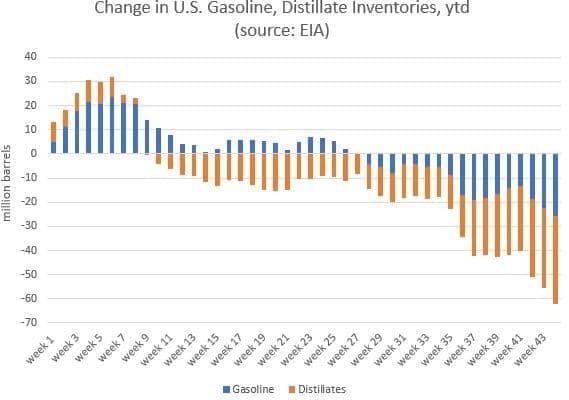 Gasoline and middle distillate exports join LPG in continuing to push higher. 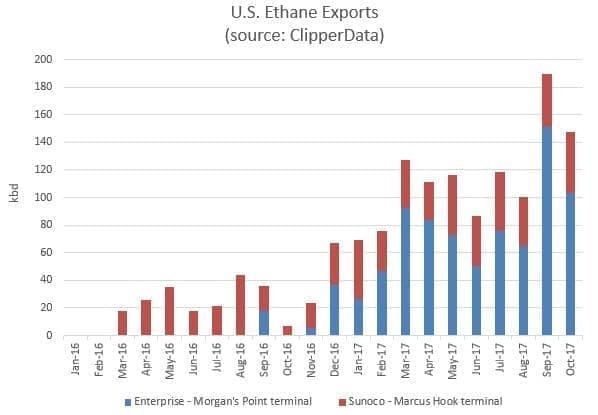 After a blip in September due to hurricane activity, exports of both are on the rise again, pushing to a new combined record. 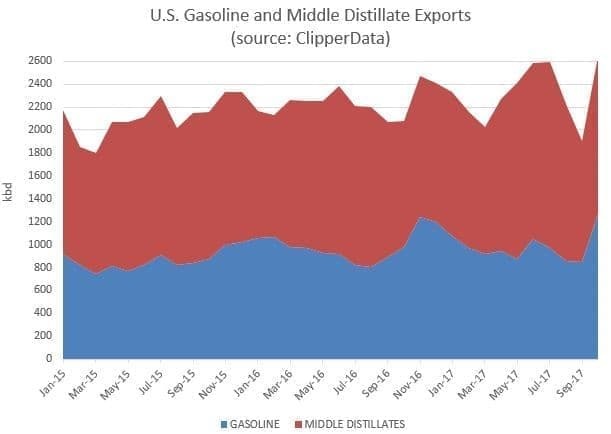 Even with the September blip, exports of the two have averaged over 2.3 million bpd this year, after 2.2 million bpd in 2016, 2.1 million bpd in 2015. Related: Does The U.S. Lead The World In Carbon Emissions Reduction? What will be the result of Chinese investment in West Virginia Marcellus gas be? 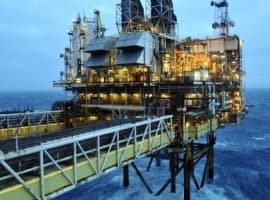 NG liquids storage for Chinese export? Looks like natural gas power plants in time for EV Chinese car imports? 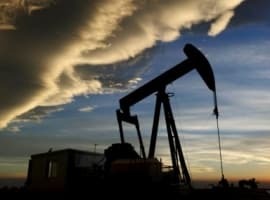 That's a huge investment they just plunked down benefiting Marcellus drillers.